I can't find a specific page for Asian Mfgs - maybe it will be added by Monday? Over the next eight weeks, brands' product plans will be added on a regional basis. Our reporting team will continuously update product entries as information becomes available. When the Civic is redesigned, the hybrid version will move from its one-motor IMA system to a two-motor system, which allows extensive electric-only driving. One motor powers the wheels; the other recharges the batteries. It will be a cheaper version of the same system that is in the Accord Hybrid. The compact Q30 hatch and its sister the QX30 will be imported from Sunderland, England, in early 2016. 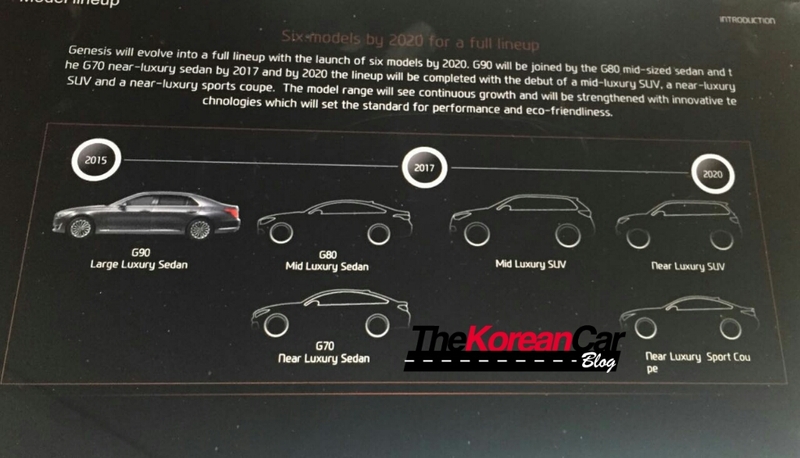 Starting with the 2015 model year, the previous-generation G37 sedan will be sold as the Q40. Both the Q60 and Q40 nameplates are temporary offerings until new Infiniti models replace them. Infiniti’s new volume leader, the Q50 sedan, is mostly unchanged from 2014. Using the Q50 as its base architecture, the proposed carbon fiber-trimmed Eau Rouge would be to Infiniti what the low-volume GT-R racer is to the mass-market Nissan brand. China may influence the fate of Infiniti’s low-selling small crossover. Infiniti will produce a performance-engine-powered four-door coupe in 2017 or 2018. The 2015 full-sized SUV will be freshened when it appears in October 2014. Infiniti’s postponed electric sedan, originally scheduled to launch in 2014, is back in the product plan. Two new trims, the SR and SL, were added to the Versa Note. A hybrid-electric version of the Rogue will appear in late 2015 or early 2016. In a bid to give the new version the same visual impact it had when it debuted in 2002, Nissan’s San Diego design studio emphasized the crossover’s curvaceous body lines. The next Titan pickup will be unveiled at the 2015 Detroit auto show and go on sale as a 2016 model year. A new generation of the full-sized SUV will follow the Titan’s 2015 redesign. Nissan is planning a more significant reshaping of the car, probably in model year 2018. Last edited by 2b2; 05-18-2016 at 10:30 PM. New Honda CEO, Takahiro Hachigo, has held his first press conference since taking the reigns at the Japanese company, and has outlined his vision for the automaker. Hachigo succeeded Takanobu Ito as CEO in late June, in a move that was announced in February this year. The issues on Hachigo’s plate include reversing the company’s declining profits, as well as stemming the quality problems that have been blamed on the company’s ambitious growth targets and stretched R&D resources. During his press conference, Hachigo said that Honda will better “utilise regional production capacity” between the six regions that the company is currently divided up into. Wonder what Honda plans to do to fix its Euro operations. They are down to offering just 3 vehicles, Jazz (Fit), Civic & CRV. Honda Europe (Brand) is at the bottom of the EU sales charts , and will be lucky if they move 100,000 units for 2015. Those are the words of John Mendel, executive vice president of American Honda and a man who is, most likely, intimately familiar with a new mystery sports car the brand appears to be planning. Recently uncovered patent illustrations seem to indicate that Honda is developing something that looks like a shrunken version of its new NSX supercar. Or not. We really don’t know. But we’re pretty certain Mendel does and the fact that he even acknowledged this car speaks volumes. When queried about upcoming vehicles, executives inevitably respond with a carefully rehearsed line about “not commenting on future products.” Read into all of this what you want, but it sounds promising. Could the firm be working on a successor to the much-loved S2000 sports car that was discontinued several years ago? We certainly hope so, though the vehicle shown in those patent drawings seems to be something more, perhaps even a budget version of the NSX. Wouldn’t that be awesome? For more on this story, Honda Boss Says There’s ‘Absolutely’ Room For a New Sports Car and to see additional renderings of the car please visit AutoGuide.com. Kia Motors (000270.KS) plans to launch its first sports sedan next year, people familiar with the matter told Reuters, seeking to burnish a sporty, younger image as larger sibling Hyundai Motor (005380.KS) builds up its premium offerings. Last edited by 2b2; 05-18-2016 at 10:36 PM. I'm confused, why is Genesis going to be making "near" luxury vehicles? I thought the point was that they're going to be a luxury brand, while Hyundai will offer more mainstream vehicles. When they say "near", do they just mean more entry level models similar to Mercedes and the CLA for example...? they're going to initially offer a wide price-range? could become more focused after they see how/which models sell best & at what ATPs? Last edited by 2b2; 05-19-2016 at 03:20 PM.